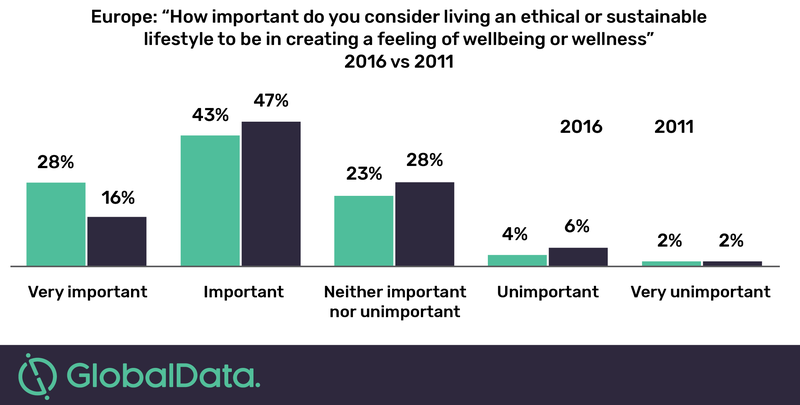 Sustainability and ethics have grown in importance to European consumers over the past five years, according to GlobalData, a leading data and analytics company. The company’s latest report: “TrendSights Analysis: Environmental Responsibility – Meeting consumers’ environmentally conscious expectations” confirms that in 2016, 71% of European consumers considered living an ethical or sustainable lifestyle to be very important or important in creating a feeling of wellbeing or wellness. This was a full seven percentage higher than in 2011.